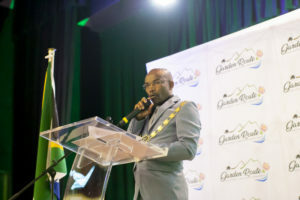 The Garden Route District Municipality (GRDM) strives to ensure that you experience a speedy, effective service and that your queries are answered promptly. If you need to speak to someone via the phone, or if you are unsure of who to speak to, kindly browse through the list of our public contacts below. Alternatively e-mail communications@gardenroute.gov.za if you are experiencing issues relating to unanswered queries or phone calls. The Garden Route District Municipality switchboard will transfer you to the most relevant person relating to your query. Our operating hours are from Mondays to Thursdays, from 07:30 to 16:30 and on Fridays from 07:30 till 13:30. All e-mails to the municipality should include our official e-mail to ensure that public queries are captured and routed to the relevant person(s). It is not advised that any person contact an official without including info@gardenroute.gov.za in their e-mail. The official postal address of the municipality is located in George. If you are interested in contacting any of our sub-offices via post, sending your mail to the official postal address will be suffice. We will make use of our employees to see to it that your mail is delivered to the relevant office and person. We have eight (8) sub-offices in the Garden Route. Most of our sub-offices deal only with Municipal Health Services, except for our Fire and Rescue Services office in George which is dedicated to providing mountain and veld fire services to the entire Garden Route. Report vehicle accidents which pose a threat to the natural environment, disasters (fires, flooding, disease control, weather warnings, drought) to our Emergency Call Centre. Report health related emergencies, motor vehicle accidents, search and rescue incidents 24/7 to our Ambulance Services call centre.